What you are looking at is a small sample of conversations that were happening on Twitter just hours ago. Cat Zwicker-Grant, who works in the Real Estate business also writes a blog. On her blog, she recently wrote on behalf of her friend who could not get a refund from Priceline. The circumstances though were understandable. Cat's friend had a baby who suffered from severe burns and could not travel. But Priceline wouldn't budge. Here's what happened next in Cat's own words. Before you go crediting "social media" to this, know that Priceline had acknowledged several phonecalls from all different parts of the country. No doubt, this was tied to spark that Cat was just getting started on. Cat has a modest following on Twitter, with 148 followers. What's not modest about her is her smarts. She immediately started reaching out to people with significant influence and even MORE importantly, people who would take ACTION, like a simple phone call. Priceline may have stopped a negative groundswell against them, before it ever had a chance. The retweets (twitter's own version of "viral") were already starting. The ripples were just being formed. Now what we don't know is if Priceline was listening—saw her blog post (with a moving image of the baby) or started to see the action happen on twitter but we do know that they made a decision that humanized the company. It's quite possible that Priceline saved themselves from a social media headache before most of us even knew abvout it. Whether it was because of the phone calls or tiny ripples forming, Priceline deserves credit for being a company that cares. Which isn't easy in this economy. Kudos to you Priceline! Upon recently talking about micro-interactions to the folks at Citi, I had a “micro-epiphany.” It occurred to me that companies really need to be looking at the social revolution for possibly one reason over everything else. Insights into human behavior that can lead to future innovations or even product/service improvements. Point in case, as I was talking about some of the interactions I’ve had with brands on Twitter like Southwest or Zappos, I said something like “this isn’t about immediately jumping onto Twitter or any other network, it’s about making an observation that people are craving live interactions with other people who happen to work at the companies they buy stuff from”. I went on to emphasize that they way I knew this wasn’t based on research, but my own personal observations and a willingness to take a step back and connect the dots. We’ve become so starved for authentic live human contact that when it’s offered up to us we are all to happy to rejoice and tell the world. As with many professions, digital has made certain things more accessible to people with potential. Some of the most forward thinking companies like IDEO have invested in hiring anthropologists, people who combine an intuitive curiosity with a learned skill for observation and pattern detection. These anthropologists come from all backgrounds, and the really good ones have developed methods and toolboxes for capturing behaviors in the hopes of uncovering the insights they are looking for. Today, a big part of that toolbox has become the Web, which lowers the bar for curious people who can detect patterns but perhaps haven’t earned their formal degrees in the social sciences or have the experience of recording hours of behavior via A/V equipment. But there is a catch. You have to be willing to investigate, spend time in the virtual communities—you have to participate to some extent and you have to develop your own system for capturing data whether it be tagging via delicious, favoriting links or archiving media. The big shift is that the new kind of “digital ethnography” I’m describing is there for those willing to do what it takes to uncover those insights. No special degree or professional recording equipment required. I’m fairly certain some company out there is going to tap into this idea of “direct engagement”—live interactions with real breathing people enabled by digital technology. Could be video, text, audio or a combination of all three. But I’m fairly certain that the small percentage of people who are experiencing it through networks such as Twitter are acting as collective canaries in coalmines signaling a desire for more live human connectivity vs. artificial intelligence. If you can relate to some of the things I've said here, then you just might be a digital anthropologist. At least, that’s my gut feeling. Matthew Milan is a smart and talented colleague at Critical Mass that I have the honor of collaborating with from time to time. If you're looking for some inspiration on how to cultivate insights, you might want to check out his Leading With Insight slideshow. Matthew will also be speaking at the IA summit. Don't miss him. "In a world of social networking and conversations among bloggers, consumers and everyone else, you don't advertise to them, you advertise with them. So companies have to design spaces--or politically ask to join existing networks--where people have a purpose to pursue (if only fun). Las Vegas is a prototype where people can network before, during and after an experience--going to Vegas baby! Think of creating these kinds of event social networks around weddings, graduations, bat mitzvahs, grandpas 90th and mom and dad's 50 wedding anniversary--any ceremonial event. And put it on iPhones, please--mobility is pretty critical. 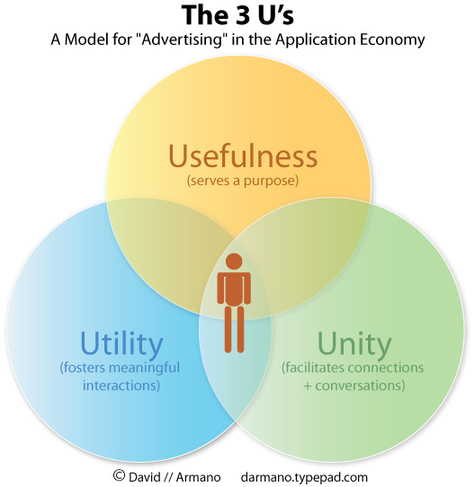 This little discussion moved from blogs and social networking to utility and usefulness. I'll say more on this soon because I think the entire advertising/marketing and /media/journalism industries are being reshaped by digital tools empowering individuals around the world." The promise of social features being designed into experiences is that it somehow brings us together in a fragmented world. Even though we are all interacting through multiple social channels—we can now find people like ourselves who we trust and see what they like and dislike. This influences our decisions from the stuff we buy to the things we recommend. The best marketing in the world tries to simulate this, but usually ends up coming off as contrived. We unite when we act in ways that were informed by groups of people who we trust. So it's an easy way to look at a complex subject. The subject of how technology continues to influence our behavior. I don't know about you—but I use the Web very differently than I did 5 years ago. See that little guy in the middle of the visual? That's the evolving customer/consumer/user/participant. Digital marketers who are using the same tactics that have worked in the past really need to think about that. I am fairly certain that we are moving toward a time where the way we interact with brands and their products and services will seem infinite. Think about it—we used to have few choices in how we engaged with an organization. If it were a bank, say 20 years ago—you had a teller, a checking account and that was pretty much it. Then ATM's came along. And banking by phone. Then over the Web. Then more services over them Web. Then you could dabble on your account with your mobile phone. And maybe you could even comment on the Banks company blog expressing your frustrations with their new ATM interface. When I visited Dell a few months ago—I pointed out the obvious. That they had reached a point (probably ahead of most other companies) where they had multiple community/social touch points in place—each serving up a different experience, looking different and acting differently. I was encouraged to hear that they were already on top of this—working to resolve the issue. 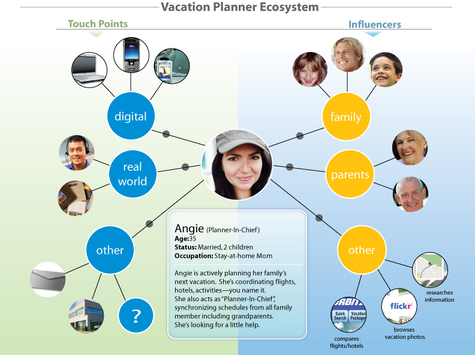 Now, each of their "multiple social touch points" feels like it's part of a larger family. They are connected. But 20 years from now, will our interactions with brands, companies and their products and services seem infinite? As we seem to have more options, channels communities and choices now—will they consolidate, or continue to expand? I believe what we're experiencing right now is the beginning. It's why the media (and social media) landscape is fragmented. But instead of consolidation, maybe—just maybe the way we interact with brands, companies and their products and services will enter a state of flow. Probably not all—but maybe some. Infinite touch points means that options may seem endless, but the ideal experiences we have don't feel overwhelming. Who will make these infinite touch points seem manageable? It will probably take all of us. Experience Designers will play a role. As will the sophisticated consumer. Will we define a social experience or a blog response as a touch point? It's entirely possible. But maybe, just maybe—each time we have any interaction with a brand's product or service we'll create a mental note of how that experience felt. If touch points become infinite—or just seem that way, then the opportunity for deeper levels of a relationship become possible. But only if the infinite touch points succeed in reaching that ideal "iiquid state of flow"—or at least make it feel that way to the end user, consumer or participant. You're watching a clip from Honeyshed. The much hyped service promises to bring "branded entertainment" to the masses. 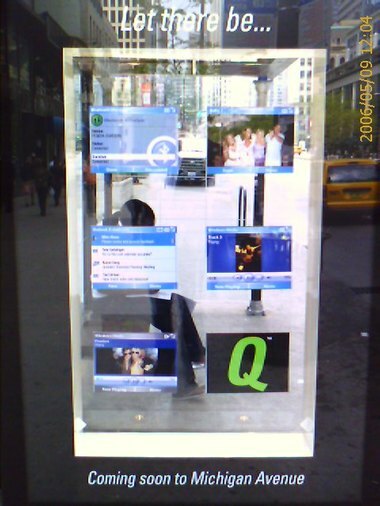 Droga5, the shop behind the effort positions Honeyshed as "QVC meets MTV". As you can see, I could not figure out how to buy stuff (which I thought I could, because I didn't read the Adweek article until after I decided to write about it). So, then I called "888-98-honey" for a little tech support—only to find out that the person on the line, while being a very nice person—had no idea how the site actually worked. She was however open to "chatting"—and we had a nice mid afternoon conversation. I got as far as adding stuff to my "stash" only to have the option to send items to a friend. And that's when I bailed. Why would I want to send this stuff to a friend when I can't even figure out how to get it myself? So what does the experience offer? Well, it offers up "hot girls" with minimal clothing and an abundance of hipster dialogue. So here's my question. I this brand entertainment? To me it feels like traditional advertising served up over the internet. It's got the typical hallmarks of bad traditional agency usability with "hipper than you" sensibilities. 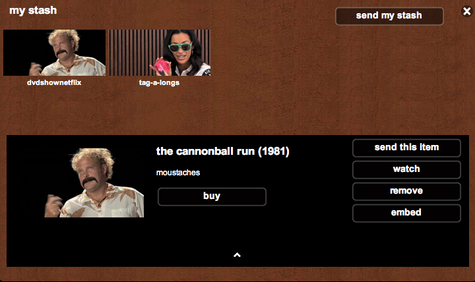 Oh wait, I just figured out how to buy stuff—you have to click on the thumbnail after you click on your "stash". It's a couple of clicks. Once you figure out what the heck a "stash" is... Would have been nice if they walked me through that on the phone. 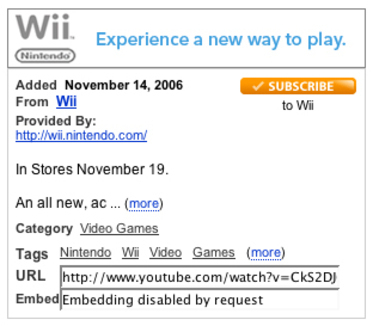 Probably the only feature I like about it was the ability to embed videos. So what am I missing? Is this effective "brand entertainment"? Am I out of touch? Is "pre-commerce" the wave of the future? Or is Honeyshed bad daytime TV piped in through a broadband line? What do you think? "Every fan has a story. Are you a fan of a college football team, a baseball team, a car, a restaurant, or a musician? Maybe it’s even an auto mechanic. Some of us show more “fan” behavior than others. I fall in the fan bucket. I want more out of the experience than just satisfaction. And I want more from that business or that team than just allowing me to make a purchase from them." "When I started in the business twenty-mumble years ago, writing software manuals, people who used software were unusual (and had to be masochists). We spent a lot of time talking about users. The word user was helpful -- it helped us to keep in mind that there was a poor slob on the other end of what we were building. Those times are long gone. We know users are important now. Disappoint them and you lose. So why do we still have to call them "users," which puts the emphasis on the technology they are using? Yes, I know "users are people, too." But you know what? All people are users now! (With nearly 80% Net penetration in the US this is pretty close to true.) Users put up with computers. People just do stuff. Nobody talks about users of dishwashers, or users of retail stores, or users of telephones. So why are we talking about "users" of computers, browsers, and software?" Top Names in User Experience? Per comments I've added Kathy Sierra in the "established" list and Dan Brown in "up and coming". So let's have a little fun. I've re-created the list and swapped out Seth and the Eisenberg brothers (an editorial modification). I also added a second list with some names that aren't as recognizable, but are making an impact in the profession (including yours truly—hey, it's my blog ;). In the "democratized" Web—how do you see it? Voting on the ones you feel strongly about will probably move them up on the list. Not selecting will have the opposite effect. You can also add names manually if you don't see someone who you think should be on the list. I'll give this some time and post the results when activity dies down. I don't know where this will go—but what the heck? Feed readers can vote here and here. "and last night on The Daily Show with Jon Stewart, Jon delivered a classic comment on the fruitlessness of combination convergence devices. Jon comes back with “Why? That’s my question. You just end up with a crappy phone and a crappy camera.” It receives big cheers from the audience and at this point Hodgman concedes that Jon wins the round." Honestly, I think Jon's argument is one of the lamest I've heard about why the IPhone could possible fail. I won't go into reasons why it might fail—I haven't had a chance to play with one yet. But the "people don't want convergence" argument is thin stuff. Here's why. 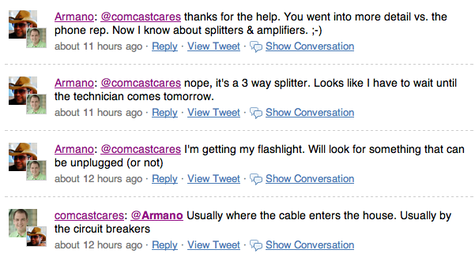 Jon's comments imply that someone will buy a phone with camera or video to replace their current equipment. This is nonsense. Smartphones act as "supplements" and appeal to people who want to e-mail, browse the web or take a spontaneous picture now and then. Is it even possible to buy a phone without a camera in it these days? Do you want a phone without one? These features support the evolution of human behavior fueled by classic needs (like the need to connect + share). I see moms and dads at Target and Home Depot snapping pictures of a product they are interested in and sending it to their spouse to take a look. I see people commuting to work glued to their mobile e-mail as they make their way home. Have these people thrown out their computers or digital cameras? No—the "crappy phone, crappy camera" argument is thin. And what about video? We've already seen a surge of vidoes uploaded and distributed on YouTube taken by people on their mobile phones. Is the video good quality? As good as a the latest digital cam corder? No, of course not. But it supports a shift in human behavior. It's called citizen journalism—or marketing. I think there may have been a few books written about this phenomenon. Jon should stick with the jokes. PS, phones are lifestyle devices—or at least many phones are beginning to achieve this status. We all have different lifestyles with different needs. I may not get an iPhone. But the new Blackberry Curve (shown above) is looking awfully tempting to me. With a 2 megapixel camera, media player and full sized QWERTY, maybe it fits my current state of human behavior. It might not fit yours. And that's OK. The US Postal Service has entered the 21st century ;) Though I haven't personally used this feature yet, apparently you can order and pay for parcel service online but most importantly you can set a time for the USPS to come pick it up at your house—all free of charge. I did spend a little time on the site which appears to target small business owners. For the most part it seemed fairly clear and intuitive. 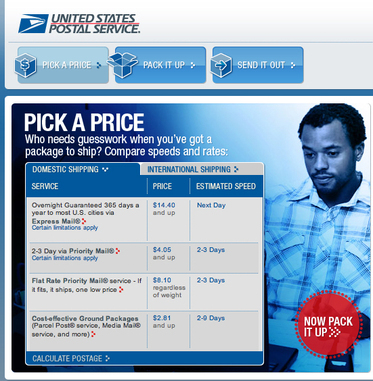 This might be a good option for those of us who dread going to the post office—especially around the holiday season. "Yes, indeed. IA as it has lived will soon die. Not because it wasn’t valuable, not because IA’s didn’t do great work, but because the Web is moving on." Now before you take either side of the debate regarding the role and future of Information Architects (IA's), I would ask this question. Does the term accurately represent what a (insert title here) does? Or if you are an IA, do you feel it does? The answer probably depends on the type of work you are doing and how you do it. I began working with IA's back in 1998 when the role consisted mainly of—well, organizing information in a cohesive and usable format in the context of Website design. Since then, the profession, practitioners and certainly the Web have all evolved considerably. 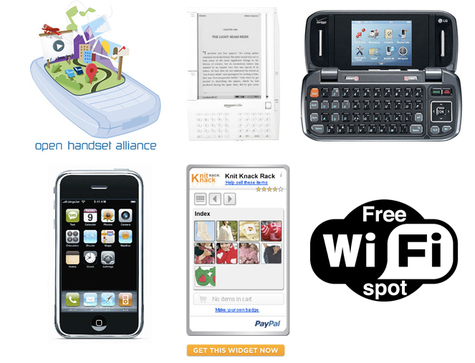 From my perspective, one of the most significant changes has been the shift from Websites to interactive experiences which actually have more in common with actual products than they do their ancestral Web counterparts. In short, unless you are working on a traditional site structure, what you do may have more in common with product design than information architecture. 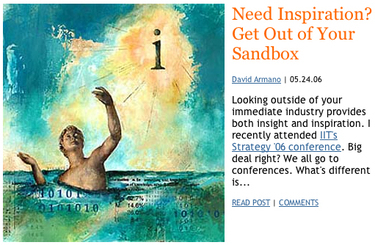 Several years ago, I moderated a work session at the IIT Strategy conference where we discussed a related topic. If you look at the description, you'll notice that I didn't use the title Information Architects even though that's what we called them at agency.com. 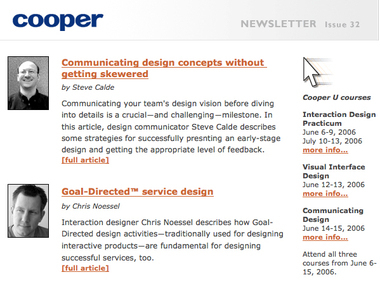 I referred to the discipline as Interaction Designers (ironically, that's the title we use at Digitas). In my opinion it's a broader term that is more accurate to the direction that IA seems to be gradually moving in. The difference? The words Interaction + Design. Design used not to denote aesthetic, but as the thinking process of how we interact with something, and the experience we have from it. Yes it's also about usability—but like product design it involves some degree of visual appeal as well—and of course functional. 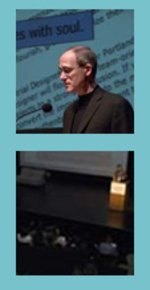 And methods like prototyping, proof of concepts, etc.—all borrowed from product design. So should the title "Information Architect" go away? Actually, I don't think so. The reality is that there is still "classic IA" work which needs to be done out there and if that's the majority of the service your firm offers—it makes sense to use it (just look at the cover of the book—"Designing Large Scale Web Sites"). However, if the majority of what you do feels more like designing interactive product/experiences, vs. a large scale Website—it might be worth taking a look at. "But the fact is that IA is a theory about the inherent structure of information…the architecture of information…and if we are moving away from that we should call it something else. If you use Bloglines to manage your growing blog habit, you might be familiar with this little guy. 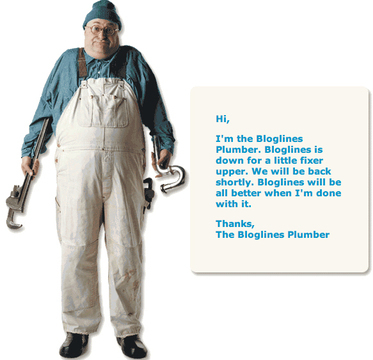 The Bloglines Plumber. To be fair, Bloglines doesn't break down all that much—however, each time I see this cuddly persona, I always wonder exactly what Bloglines is trying to tell me. Here are some associations I have personally when it comes to plumbing/plumbers and little "fixer uppers". Well, I guess I've had some bad plumbing experiences, but maybe I'm not the only one? I totally get what Bloglines wants to do. They know that people get irritated when service is down, so they are adding a little personality/humor to their message. Don't want to over think this, but the way we handle our service messages is important. So is the gimmick really needed? Sometimes a simple, earnest statement that you're "on it" is all it takes. Sorry Bloglines Plumber, you're cute—but cute doesn't offer me reassurance that I'll be able to read my feeds any time soon. Here’s something to pin up on your cube or office wall Download 12_values.pdf . The next time you work on a major marketing or interactive initiative—ask yourself this question: “is what I’m doing hitting at least some of the consumer values on this list”? 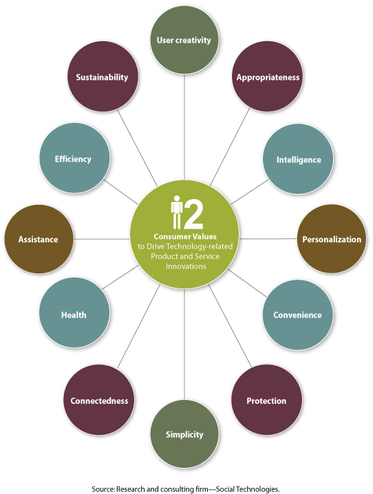 The 12 Consumer Values to Drive Technology-related Product and Service Innovations was created by the Washington, DC-based research and consulting firm Social Technologies. My rationale for putting this into wall-friendly visual is simple: I think agencies run the risk of infatuation with YouTube and the temptation to put all their eggs in one viral video basket. And we have to be careful about not neglecting other areas of marketing innovation. Now in my opinion, that video was simply amazing. A powerful, compelling story that draws you in and inspires you to share it with others. But what about the experience it links you to? Complete with E-cards and a message board, CampaignForRealBeauty.com is a respectable site—but could it be doing more when you apply the 12 values to it? My point here is that the gi-normous success of YouTube may tempt the Ad industry to hyper-focus on viral videos as an inexpensive way to generate buzz (and ROI). Nothing wrong with this at all—but we cannot forget that at the end of the day, a video is a passive experience. It can make us laugh, cry and want to share it with others—we just can’t interact with or actively engage with a video. In contrast, you CAN interact with YouTube itself. Imagine if an agency had come up with that idea? So on that note, here is the full list as conceived by Social Technologies. It’s worth chewing on. You’re going to pay a lot of money to see the Stones and they know it—so they do their best to put on a good show. Fireworks, an elaborate stage design, and Mick never stops moving. The Stones work really hard at making sure you feel that your money was well spent. There were people in their sixties belting out tunes right along sixteen year olds. Stones music has a way of bringing generations together. Age becomes irrelevant. One of the more interesting parts of the show included a stage that detached and moved several hundred feet into the heart of the audience. It was the next best thing to the band getting down from the stage and mingling with the audience. They played several songs in this position and for a while, the people who has the worst seats now had the best ones. The weather last night in Chicago was brutal. Temperatures suddenly plummeted below 30 degrees and it felt like the dead of winter. My hands got numb after 5 minutes of being outside of gloves yet there was Keith plucking his six string with an expression that showed a little more pain than usual. The Stones didn’t ignore the non-ideal weather, they made jokes about it—they showed their humanity, but at the end of the day the show went on. Mick changed his wardrobe for nearly every song. 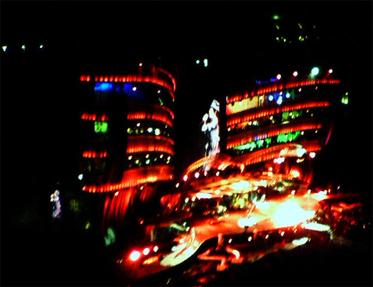 In fact, the stage, lighting and video effects were different for every song. This made songs like “Sympathy for the Devil” feel like they each were their own unique brands. Because in a way—they are. At the end of the show, every musician lined up, put their arms over each others shoulders and bowed several times. It was a graceful way to end the show—and in an odd way, you could tell that each of them were happy to get out of the cold weather yet the body language seemed to say "the cold couldn't stop us—you matter that much to us". And seeing the band and supporting members reminds you that it’s not just the Stones behind that show, it’s every member of the band, crew and even the audience ourselves that they were celebrating. Was walking by a Bank of America branch this morning, and what I saw in the front window stopped me in my tracks. Usually the first impression you get with banks is the cluster of ATMs combined with an array of promotion materials touting the latest rates. But what was different about the first impression of this particular branch was their "lounge" which included a gorgeous flat screen, designer lighting, leather chairs and gourmet coffee. And as it was being used. 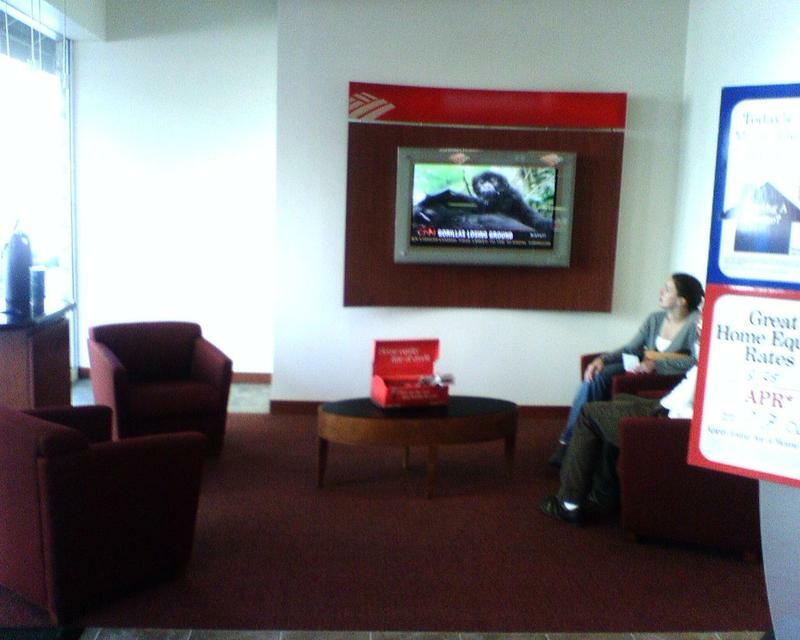 As I snapped off the photo, a couple was hanging out catching up on some new via CNN. I wouldn't say this is totally innovative, but it is effective. Carving out a simple and tasteful "oasis" at the front of the branch, really made for a positive first impression. Something to think about in regards to our own "digital branches". What kinds of little things can we do to make our first impressions just a little more effective? Here is a simple exercise. Don't overthink this one. Let's say you've completed the strategy phase, you've briefed the team, you've found that core insight and you have a concept that you are ready to execute against. Before you site down and put that mouse to work—take a step back and think of the experience you are about to architect and design. Think of it as a house. These are interchangeable, but served the purpose for this particular example. The purpose was to think about the execution before we got knee deep into it. The adjectives such as "simple", "organic" and "clean" are tangible terms that resonate with designers. So the next time you're ready to execute. When the brief has been briefed and the strategy has been strategized. Think about the house you are about to build. Your users might have to live in it for a while. Like this visual? More here. Now, I have two full disclosures to this post which is more of an observation than anything else. 2. 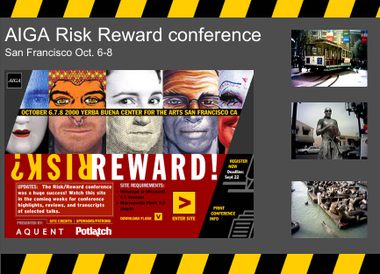 I have been a fan of 37 Signals since seeing their presentation at AIGA Risk & Reward back in 2000. Mostly I am a fan of 37 Signals because I find their philosophies to be very inspirational and more times than not very true. Or at the least, worth taking a look at and thinking about. But this site caught my attention. It made a pretty interesting case regarding flaws in Basecamp and a lack of interest from 37 Signals in taking on some of these issues brought up by customers. 37 Signals rolls out changes without any external customer feedback and without notifying anyone. And if you don't like them, you don't get configurability, you just get told your voice doesn't count because 37 Signals likes them, thank you very much. Jason Fried has his own ideas about what to do with BaseCamp, customers needs be damned. No GANTT Charts: No visual respresentations whatsoever. No not ever. Jason Fried's favorite response to practically every feature request is "No. sorry. (end of discussion)"
Many of the Basecamp users on the forums treat Basecamp as their cult and Jason Fried as their leader. Don't make a suggestion that Jason doesn't like or you'll be heckled by all of Jason's disciples. The tiny team at 37 Signals keeps launching other services: Backpack, Tada List, Writeboard, and three more before the end of 2005 instead of focusing on meeting BaseCamp customer needs. Three words. NO PROJECT TEMPLATES!!! Enter everything manually. And the worst one is, they hold your hostage data! You can't even export it, contrary to their FAQ "Can I get my data out if I want to discontinue using Basecamp?" that implies you can. BEWARE: Once you get in, you can't get out!!! Sorry, I just couldn't seem to manage to limit to only 10. :-( "
Jason Fried: As I've said, feedback comes from a variety of sources, not just the forum. And part of the feedback is our own feedback and our own vision for the product. Jason Fried: JWright, thanks for the advice on how we should develop our products, but we feel like we have it under control. We know what we're doing. Now, I will probably still be a fan of 37 Signals, because I find value in their thoughts and philosophies. But it does make me think. Should I blindly "endorse" any organization because I like what they say and how they say it? Shouldn't I actually try their products for myself before I speak well (or ill) of anyone? I guess I could be overthinking this, Maybe for me the product that 37 Signals offers which I find value in is their "thought leadership" Maybe that's enough. Or maybe this site is a fluke and Basecamp is as good as most of the reports say it is. This site could be a sign that Basecamp is becoming mainstream, or it could be an authentic gripe (like Apple has experienced in the past and most recently Facebook). I guess one thing is for certain. If even one customer has a gripe with your product/service these days. You're gonna know about it. Have you ever noticed that movements happen in waves across both the blogoshphere as well as the mainstream media (often times in sync)? I've been coming across a lot of posts recently that involve putting customers first, and making them happy. Now, this is nothing new, and it's one of those things that is easier said than done. And maybe that's why it's said so often (because we aren't doing it). It's like telling someone with the attention span of a gnat the same things over and over again in the hopes that one day, they will actually dot it. Well here is a little gem for the attention-challenged in all of us. It lays out a simple plan for putting customers first. 2.Stop customer hot potato. He who speaks to the customer first should “own” the customer. There’s nothing worse that sends a signal of disrespect faster than an impatient person on the other end of the line trying to pass a customer off to “someone who can better help you with your problem.” Yeah, right. 3.Give customers a choice. Do not bind your customer into the fake choice of letting them “opt out” of something. Let them know up front that they can decide to get emails, offers or whatever from you and give them the choice. 4.De-silo your website. Our websites are often the cobbled together parts created separately by each company division. The terminology is different from area to area, as are the menu structures and logic for getting around the site. What’s accessible online is frequently inconsistent, as is the contact information provided. 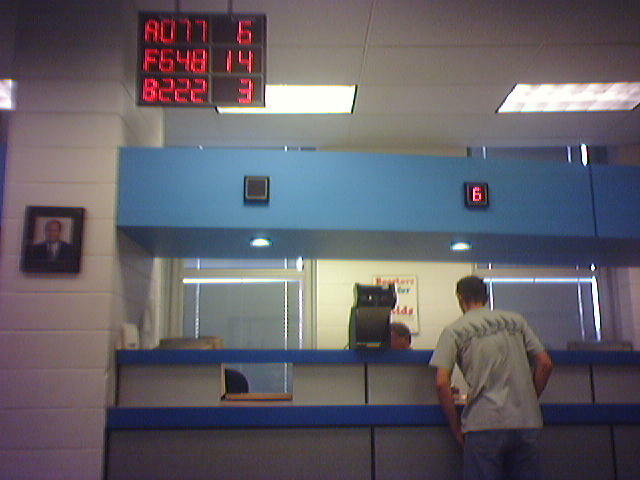 5.Consolidate phone numbers. Even in this advanced age of telephony companies still have a labyrinth of numbers customers need to navigate to talk to someone. All of these grew out of the separate operations deciding on their own that they needed a number to “serve” their customers. Get people together to skinny-down this list and then let customers know about it. There’s no big red button to push to make this happen. It requires the gnarly hard work of collaborating and collective decision making – but get it done already! Customers are fed up. 6.FIX (really) the top ten issues bugging customers. We have created a kind of hysterical customer feedback muscle in the marketplace by over-surveying our customers and asking (ever so thoughtfully) “how can we improve?” Customers have told us what to do and we haven’t moved on the information. 7.Help the front line to LISTEN. We’ve robotized our frontline to the customer all over the world. Let them be human, give them the skills for listening and understanding and help the frontline deliver to the customer based on their needs. 8.Deliver what you promise. There is a growing case of corporate memory loss that annoys and aggravates customers every day The customer has to strong-arm his/her way through the corporate maize just to get basic things accomplished. They’re exhausted from the wrestling match, they’re annoyed and they’re telling everyone they know. And, oh, by the way, when they get the chance they’re walking. 9.When you make a mistake – right the wrong. If you’ve got egg on your face, for whatever the reason, admit it. Then right the wrong. There’s nothing more grossly frustrating to customers than a company who does something wrong then is either clueless about what they did or won’t admit that they faltered. 10.Work to believe. Very little shreds of respect remain, if any, after we’ve put customers through the third degree that many experience when they encounter a glitch in our products and services and actually need to return a product, put in a claim or use the warranty service. As tempting as it is to debate customers to uphold a policy to the letter of the law, suspend the cynicism and work to believe your customers." Common sense stuff? Of course it is. So why do so few companies actually practice these things? Yeah, we're all guilty. Maybe it's time to act. Brief background on the rapid prototyping of a desktop widget including the inspiration, execution and testing of the concept. As the quality of digital experience improves, the value of creating passionate users is becoming clear to brands wishing to thrive in the "experience economy". Provide an experience that is both useful, usable, desirable, and differentiated and you will create demand for your brand and delight your customers. But if passionate users (or customers, or consumers) is the "WHAT"—the end result which we aspire to attain, then what about the "HOW" in regards to the role in which design plays in all of this? And I'm not just talking about visual design here. As designers of digital experiences, what are we doing to develop compassion toward the users we are designing for? Ok, if you are going to get defensive while reading this article, now might be the right time. If you are an Interaction Designer, you probably feel that your whole existence is dedicated to meeting the wants and needs of users. If you are a Visual Designer, you might feel that you possess heightened sensitivities which allow you to be more "empathetic" while designing for your audience. 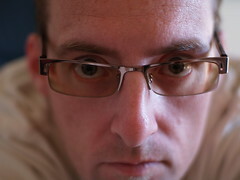 Well, if you feel you are doing all you can to be a compassionate designer, then there is no need to continue reading. But if you think you can do more, then read on. I have this theory. My theory is that when we feel that we get really good at something. When we begin to consider ourselves "experts", that is when we become "at risk" for losing (or de-emphasizing) our compassion for the customer—the people we design for. Think about it this way. It happens to Doctors. The people who swear to uphold Hippocratic oaths. The same people who sometimes hold the key to life or death. When a Surgeon gets so good at his or her craft, sometimes compassion takes a back seat to the honorable goal of saving lives. Sometimes bedside manners become compromised in the process of moving on to the next patient. It's not intentional or out of malice—it just happens. All professionals are vulnerable to this. When we get really good at something, we're tempted to think "I've done this hundreds of times—I know what I'm doing." We are tempted to think "this is my area of expertise". Usability, Interface Design. Visual Design. Motion Design. Copywriting. All of the above. Let's be honest with ourselves. How many times have we made a design decision that was in the interest of winning an award rather than winning over the customer? Or how many times have we included a deliverable because it validated our role as opposed to validating the life of a consumer? We've all done it. Oh, you haven't? Liar. What exactly does it mean to be a compassionate designer? It means doing things that help us not only understand, but relate to the users we design for. To feel for them. To put ourselves in their shoes, even if our own lives are totally opposite from them. Sound simple? It is. You just have to do it. Put down that design magazine and boxes+arrows article. Go out into the real world. Watch. Listen. Observe. Talk to the people you are designing for. Chances are you won’t be able to relate to them at first. When you get to this point—then you know you’re doing something right. Be curious. Be very curious. Don’t know how? Find yourself a five-year-old, and hang out with them for a while. Then ask the same questions they do. Are you designing for stay-at-home moms? Take the day off and go to a park. Hover around schools during drop off time. Walk a mile in their shoes. Better yet, just walk with them. Several years ago, I found myself in a spirited discussion with my Creative Director over a design we were proposing for a large B2B distributor. The design was minimal. It was all about speed and efficiency. It was designed for a person who didn't want to spend a lot of time ordering supplies, and had better things to do with their time. It was designed for the type of person who could not care how many times you told them "we're here to help". It was designed for someone who needs proof, every day. "You want to help me? Make it easy, fast, and reliable". Now my Creative Director didn't like what he was seeing. "Where are the pictures of people being helped?" "If I'm coming to this Website for the first time, I have no idea what this brand stands for". All noble concerns. Only one problem. He didn't take the time to get to know the customers. He felt he knew them. He made assumptions about them from everything he thought he knew in his career (and personal experience), but he never even asked me about them. I toured the distribution centers, attended scores of user tests, and made the effort to reach out to every contractor I could get my hands on. Luckily I had a couple in my family. The design direction in many ways went against my personal preferences. It was visually appealing but lacked a "story". It did so because I knew in my heart that the best story we could tell these customers was to not tell them one at all. The most compassionate thing we could do was show them the story. But this wasn't only about the customer, it was also about the brand. The brand stood for "getting the job done". And that's just what the site did. The fact that it lacked "lifestyle" imagery only reinforced to users that the site "understood" them. It wasn't talking to them about helping. It was doing it with very little lip service. Which is exactly what they needed to experience. If we feel for the people we design for—we will do what is in their best interest. And that is being a compassionate designer. 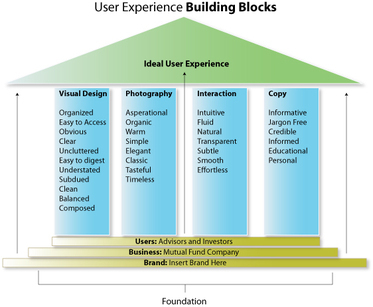 What happens when you don't get your experience design right? When you don't take the time to understand your users? 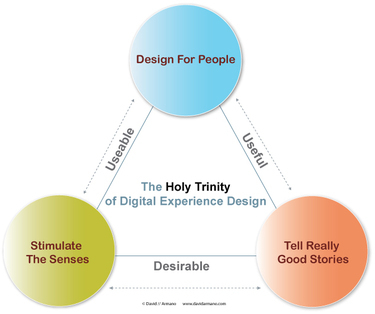 When your user experience is not exactly in sync with what your users want, need and desire? You get a full on revolt from the people who keep you in business. "The new home page of Facebook features updates on every single thing your friends are doing on the Facebook network. Whether they became single recently, signed up for a new class, or ate a corn dog… you’re going to hear about it. One would think users would appreciate the changes in terms of Web 2.0, think again! The new homepage has become a headache to users and peeping toms watching every move you make on the social networking giant. Simply put, users feel betrayed. Facebook members have taken their disgust a step further by starting a Facebook petition to resist the step forward into Web 2.0." Did anyone take the time to test these new feeds and features? I mean really test it? Get to the heart of the matter to see of Facebook users wanted (and needed) these kinds of features? Hello? Is anyone out there? Update: Save Facebook is launched. "The marketplace of old resembled a mass of caterpillars hanging around the tree of traditional media,venturing down the branches of mass distribution, and consuming the offshoots of brand advertisers. No more. The masses have escaped their pupae, spread their distinctive wings, and are fluttering around fields blossoming with an abundance of colorful and succulent offerings. A fleeting glimpse is all one usually gets of them. So what’s a marketer to do in this chaotic environment of abundant products andservices, fast-flying consumers, and a rapidly changing landscape? 4. Keep notes on what you observe regarding the habitat, the offering, the way the butterfly moves and communicates, and other matters of interest. And you can leave your nets at home. You’re not trying to capture anything." 1) Simplicity. It was too cluttered; too many choices. Home page was overwhelming. 2) Show me the products. There were no products on the home page. None. 3) Avoid segmentation. Don't force me to segment myself. "The removal of enforced segmentation high up in the buying path is the first step, it's 10 years overdue frankly. It is not however gone, but that is a larger internal organizational problem that Dell has to overcome." “Make it easy for me to define systems by my work profile and give me more guidance on what technologies could benefit me more than others. If I'm building it, I'm then likely to buy more"
Behaviors: The types of things your customers want to DO . The way they might actually behave on your site. This means thinking about how they behave before even coming to your site and after leaving it. It’s less about what they THINK and more about how they ACT. Mindsets: This is the context of where your customer is from. Are they logging on from a computer at work, at home, are there kids crying in the background? Are they in “browse mode”? Or do they have laser like focus and just want to complete a task. 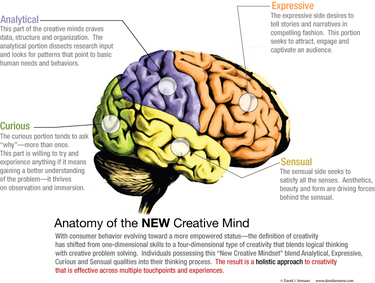 Getting the customer mindset right is incredibly important to an interactive experience. Much more so than the traditional marketing segment like how much they make annually and what kind of car they drive. Now, I can go on and on about things like Personas, or coming up with stuff like a behavior grids, which explore all the possibilities of how a user may act. I'm leaving a lot out here. You can write a whitepaper on all of this material and trust me, I’ve worked through this kind of thing many times with clients who want customers to “pick who they are” at the beginning of a site experience and chart a course based on that segment. This post is intentionally light as I wanted to capture the Dell change and some of the reaction to their new homepage. At some point I’ll do something else about segments from my perspective. So back to the Dell site, they are looking for more feedback on this change. If you are a customer, I suggest you speak up now. What do Dell, Aol, Comcast, Coke, and Ford all have in common? Each has experienced first hand the effect of a new kind of “PR cycle” driven by immediate response (depicted here). This is a type of PR that hasn't traditionally existed until recent years—and is gaining momentum in a big way. So Dell launches a blog—who would even notice this in the “good old days”? In the old way, Dell would have done their thing and maybe sent out a press release. If they were lucky, they would have had a few news organizations pick up the story and maybe get a letter to the editor. But in today’s wired world, Dell’s blog has been one of the most talked about events in both traditional media and blogs where uncensored discussion happened almost immediately after. And let's not even get into the exploding laptop etc which only added more fuel to the fire so to speak . And of course we can't forget AOL or Comcast, where in each case a “Power Consumer” armed with a recording device and social media technology was able to draw immediate attention to their story. Each caught the attention of the mainstream press early on. So are we looking at a new kind of PR? One where bloggers and mainstream media feed off of each other? How will companies choose to deal with instant feedback, criticism, dialogue and debate? Seems like the PR Pandora has left the box and isn’t going to be put back any time soon. But What About the Touchpoints? 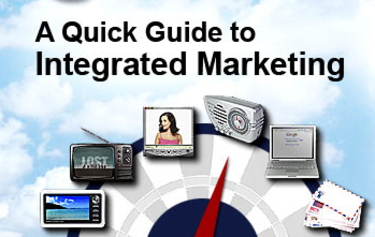 iMedia Connection has recently published “A Quick Guide to Integrated Marketing”. It’s another take on the all-too-familiar challenge of aligning multiple marketing initiatives across multiple channels with the goal of “integrating” these efforts to achieve marketing nirvana. Only one problem with this piece. 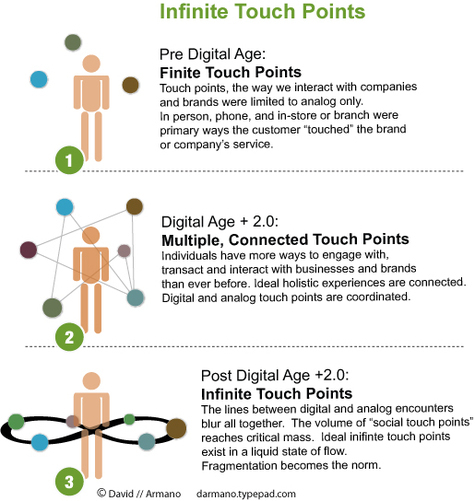 What about the TOUCHPOINTS? Before I go on—here is how I differentiate a channel from a touchpoint. 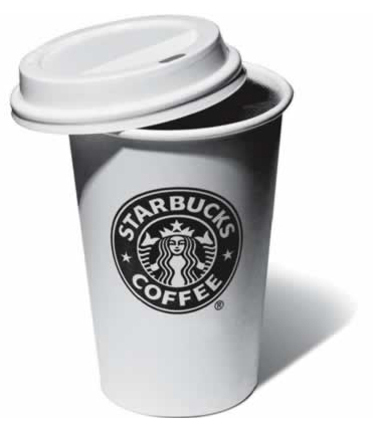 A method of communication or interactivity that attracts, engages, or raises awareness among consumers. Channels may also involve participation and community especially among emerging media. Examples: TV, Radio, Direct Mail, Web, Blogs, Social Media, etc. 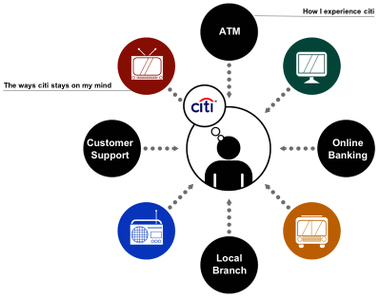 How customers interact with a business or brand. Touchpoints usually involve some type of transaction or facilitation of a service. Touchpoints are experience-driven with the quality of the experience determining the effectiveness of a touchpoint. Example: catalogue, online catalogue, ATM, retail, online shopping, customer service, banking, online banking etc. Brand Messages. That’s the key theme of the entire piece. Messaging the brand across multiple CHANNELS. There is nothing wrong with this—but here is the point. If marketing firms and agencies are serious about providing a comprehensive “brand message” across the media landscape—then they need to at least CONSIDER touch points too. I’ll use Citibank—my favorite example. Great online banking. Great offline banking. Great ATM Experience. And great marketing initiatives across all those wonderful “channels”. I know there are many agencies behind this (in addition to Citibank)—but I would like to think that somewhere, someone is thinking about how all of the marketing initiatives and customer experiences come together. Don't marketers need to think about Brand Experience in addition to Brand Message? Again—no mention of the customer experience anywhere in this “Integration”. So here’s how I’ll end this. If marketers really want to “integrate”—then we will talk about experiences as well. Until then it’s partial integration at best. Don Norman of the Nielsen Norman Group and respected author has this to say about calling people derogatory names such as “users”. The EXPRESSIVE part of my head agrees with Don. We really need to lighten up on the jargon and lingo. But then my CURIOUS side takes over. WHY? What about the hugely successful blog Creating Passionate Users? WHAT IF they called it “Creating Passionate People”? Yuck. Sounds like a self help book. The title Creating Passionate Users provides me with context. It tells me what this blog is about and gives me an idea of what kind of content I can expect. So maybe we need to occasionally use terms like customers and users to help add a little context to our conversations. And here’s some more food for thought. To Don’s point about the hotel experience—think about how we are treated as valued customers. Now picture yourself on a crowded train and think about how rude some people can be toward each other. Sometimes it’s not such a bad thing to call a human being a customer. Society tends to treat paying customers very well (though I wish we all treated other human beings a little more decently)—but that’s just how it is. That said—I’m still in agreement with Mr. Norman’s general thought. We do need to keep the focus on people. Once we lose that—we forfeit purpose and the quality of our work degrades. However, I also think that some labels serve a purpose and help define context. Experience Planner has some great posts today on the value of T-Shaped thinking in the workplace. Don't just sit there. Go check it out. Luke Wroblewski over at Funtioning Form has put together a nice set of links that compile Design Thinking and Strategy approaches. Some of the resources include Tim Brown, Dan Pink, Roger Martin and Dan Saffer. Definitelty one to save. A really basic illustration of how customers—or even better, people—think. In this case the scenario is a "mother of the bride" in search of a gown for her daughters' wedding. And, she's just as comfortable shopping online as she is off. Let's call her "Samantha". Fail to meet Sam's rational needs, and she's gone. Fail to embrace her emotional needs, and she'll never tell anyone about you. In short, failure is not an option if you want to engage Samantha in an authentic relationship.